Detailed documentation is a huge part of any successful lawsuit. Especially if you have been seriously injured in a car accident, there are number of important reports that your attorney will collect and analyze to build a strong case for maximum compensation. 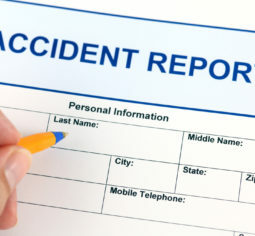 These reports are absolutely necessary to your car accident case. If you have no record of your personal injury, you have no case. That’s why it is essential that you see a doctor as soon as possible after an auto accident if you are injured. The doctor’s report about your injuries, as well as recommended treatments, will be the foundation of your claim. Depending on the seriousness of your injury, you may end up with what seems like volumes of medical reports from every specialist you see and every appointment you attend. Your attorney will keep a careful and detailed record of all of these reports to help document the severity of your injury and how it has affected your life. When law enforcement officers arrive on the scene of an accident, they generally write a report that includes information about all the parties involved, details about the vehicles, interviews with witnesses, whether photographs were taken by the officer, and additional observations about the scene. These reports can be extremely useful in your claim for compensation, particularly if the other driver admitted fault to the officer. If you needed to take an ambulance to the hospital after an accident, your attorney may track down the “run report,” which often details the EMT’s observations of your injuries and possible impressions of the scene immediately after the crash. These reports can vary in how much detail they contain, but they may include important nuggets of information that will help your attorney craft a narrative of exactly what happened immediately after the crash. It is always helpful to have witnesses from the scene who can corroborate what happened and add details that you may have been too shaken up to notice. For example, witnesses may have seen the accident from different angles, noticed problematic road conditions, or seen the other driver distracted by a cellphone right before the crash. Small details from witness reports can all add up in painting the bigger picture of what happened in the crash. These reports will identify exactly how much damage your vehicle sustained and where, which may help investigators determine the speed and angle at which you were hit. In some cases, the vehicles’ event data recorders, commonly called black boxes, can provide evidence related to the crash. Reports from these recorders can show the vehicles’ speed, braking, and deployment of airbags right before the crash. In certain cases, your lawyer may work with an accident reconstruction expert to piece together the details from all of the reports, as well as additional information, to reconstruct the scene of the accident. This reconstruction report could play a huge role in your case as it might show how all the evidence fits together.